A quick, enjoyable story. I enjoy historical romance that has some mystery or adventure and this novel didn't disappoint. This is the second in the series but it can easily be read as a stand alone. There is great chemistry between Elijah and Catriona and their burgeoning romance was amusing to read. The treasure hunt got very exciting the closer the pair got to discovering it as they were being closely watched by a secret society who would stop at nothing, including murder, to get their hands on the treasure. 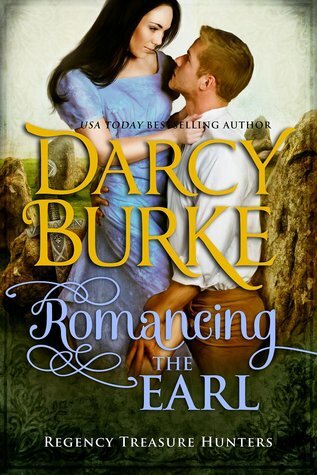 I'd recommend 'Romancing the Earl' to anyone who enjoys a bit of mystery or adventure in their historical romance.